MS Viswanathan's death sends a shocker to the industry! Music has lost its shine, charm and glory. Thirai Isai Chakravarthy MS Viswanathan has reached the heavenly abode, leaving behind some highly treasured songs to be cherished forever. Having collaborated with Ramamurthy a violinist, the duo was fondly referred as the Mellisai Mannargal rendering songs for about 15 continuous years. When musicians tried testing their hands on revolutionizing film music, MSV was pretty much the man who paved the way for all such developments. When Tamil film music was majorly influenced by the local flavours of folk and classical, MSV was the very first to bring in elements like disco, ball-room, rock n roll and jazz into Tamil film songs. Not forgetting his queer voice, the talented composer had a knack for composing instant hit numbers with regard to changing trends. All classes of audiences, irrespective of the age group they belonged to, patronized his songs. MSV was the natural choice for most of the producers and directors. His reign was a monopoly of sorts and every second song you heard was from his octaves. Sticking to the traditional medium of composing songs using the harmonium, the real musician MSV was also respected for his regards and respect towards his fellow colleagues. From pathos to heroic songs to message driven songs to the typical chartbusters, there was not a situation his music failed to impose. It was also during MSV’s tenure, session musicians gained prominence and OSTs got all the attention. 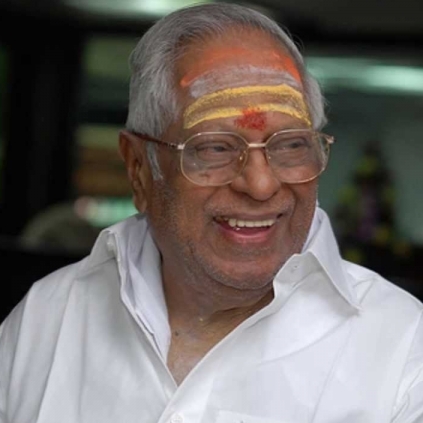 Having brought in progressive elements like humming and whistling into mainstream cine music, MSV’s natural inclination for rhythms made his songs enterprising and foot-tapping. With classical and carnatic expertise also to the skill-set, there was nothing the legend could not do. His timeless compositions especially for MGR and Sivaji stand as a testimony till date and you can’t categorize retro songs without his contributions. Even today, Radio majorly thrives because of his songs and having done so much without all the technical advancements, MSV by no means is nothing less than a legend. With over 1200 films under his belt, the maverick composer never had second thoughts about lending his voice for other music-directors. His combinations with numerous singers and lyricists will probably be their best ever, which only MSV could bring out. It was MSV who booked SPB for a Tamil song for the first time and also introduced Malayalam singer Jayachandran to Tamil. Maestro Ilayaraja got trained under the supervision of MSV and all that we hear today was already tried and done by the greatest musician the film industry ever saw. We will miss you sir! As a mark of respect to Mellisai Mannar! ADMK for Arya, Simha and co.
People looking for online information on MS Viswanathan, MS Viswanathan death, MS Viswanathan passes away, RIP M S Viswanathan, RIP MSV will find this news story useful.